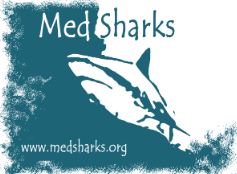 MedSharks is a non profit research and conservation association which aims to promote the knowledge, awareness and protection of the Mediterranean ecosystem and particularly of Mediterranean sharks. MedSharks is partner in the European project Clean Sea LIFE, an awareness project on marine litter co-funded within the LIFE programme. Outreach: A large part of MedSharks’ activities is dedicated to raising public awareness of sharks. Read SharkNews, our news blog on the world of sharks (in Italian!). Conservation: Since 2006 MedSharks is a member of the Shark Alliance, a coalition of over 100 international NGOs promoting shark conservation at the European Union level. 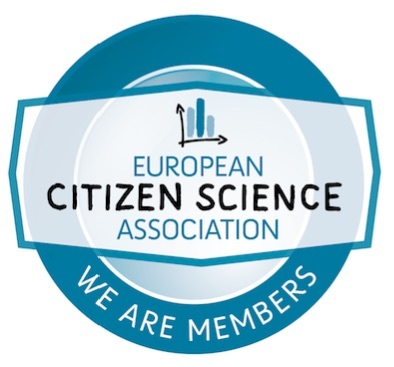 Many of MedSharks’ studies are citizen-science projects and take advantage of an excellent network of contacts with marine key groups. Eleonora de Sabata (President) is an Italian marine science underwater photo-journalist and the author of articles, books, exhibitions and documentary films published around the world. Fluent in Italian and English, she is a consultant for International media on Mediterranean topics. As the Financial Times’ Italian marine expert, she conducted investigative reporting on illegal fishing, deep-sea oil drilling in the Mediterranean, “toxic” ships and the Costa Concordia disaster. Building on her professional skills as a communicator and her first-hand experience of the marine world, she has now focussed her activities on scientific research, education and conservation projects. She manages several research projects on sharks and other endangered species with MedSharks, the Italian NGO she founded in 2001, with a strong citizen-science component. Her wide-ranging knowledge of the Mediterranean environment, the extensive network of contacts among professional and recreational marine stakeholders, and her media and social media experience are skills she brings to NGOs, Marine Protected Areas, Institutions and Universities both as a communication consultant and a partner on conservation projects. A new species of mollusk (Jujubinus eleonorae) was described from samples she collected, and named after her. Simona Clò, Ph.D. (vice-president and scientific supervisor). She dedicated all her scientific career on sharks (especially blue and basking sharks) and endangered species. She was formerly a researcher with the Italian Marine Research Institute (ICRAM) and a scientific consultant for several NGOs. She has extensive experience of european LIFE projects and is member of the Mediterranean IUCN Shark Specialist Group. Simona’s curriculum.